Sounds Systems Incorporated - Ellev - The Best Full-Service, Award-Winning Ad Agency in the Carolinas! 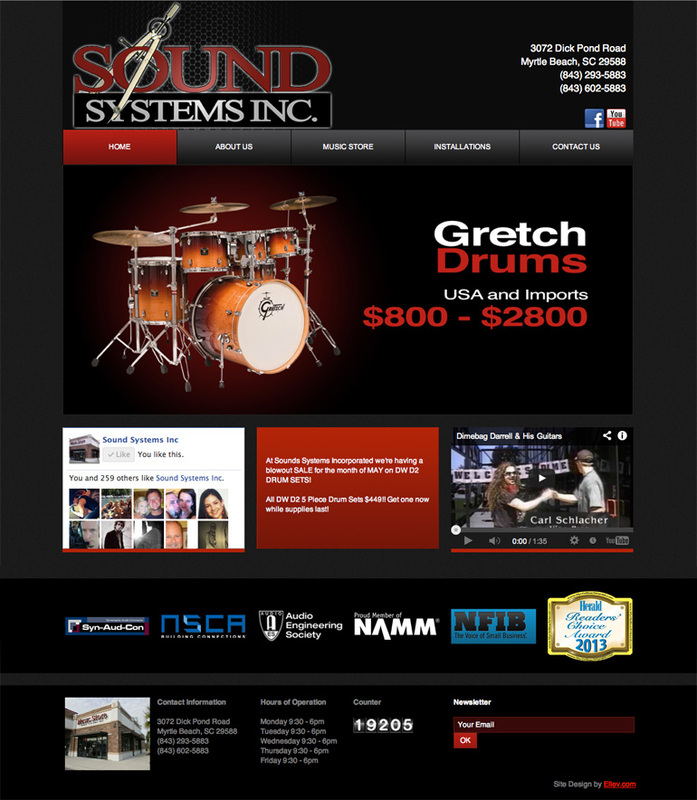 We were very honored when Sound Systems Incorporated, one of the most respected and well-known sound design and installation music stores in Southeast, came to Ellev Design Studio to brand their new image and website design. We took their logo and built a website that complemented it’s design and incorporated it into a branded look on their website using their signature colors, fonts, and images. These are all important things to keep in mind when you are developing your brand identity for your company, as it is all part of the package. Can you imagine Coke without that signature red? That same detail should go into your branding and website. Ellev pays attention to those details, and those details are what makes your brand.